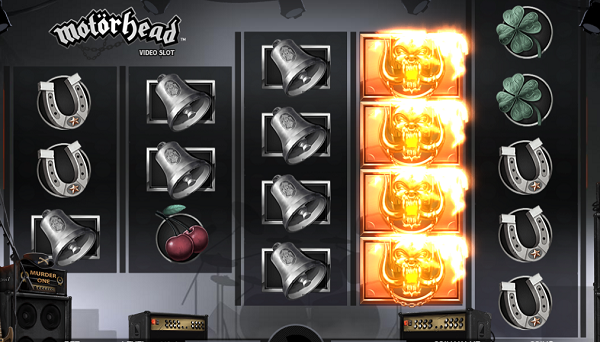 The ultimate MotorHead casino game comes to Desktop & Mobile! Take on the legendary bank Motörhead in this awesome video slots game, now available on Desktop & Mobile! 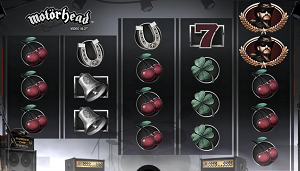 Set over 5 reels and 76 lines, this slots game takes you on a whistle-stop tour with Ian Fraser “Lemmy” Kilmister, for the chance to win Free Spins and rockin’ bonus features. Make your mark when you play this intense game and amp up the volume by activating “rock mode” during your game! Unlock the Mystery Reel feature by stacking mystery symbols in the main game, or be blown away by the Bomber feature when activates at random before any spin in the main game. Free Spins are offered all throughout the game, with 10 free spin wins awarded for three Scatter symbols appearing anywhere on reels 3, 4 and 5 in the main game, or on any bet line wins. 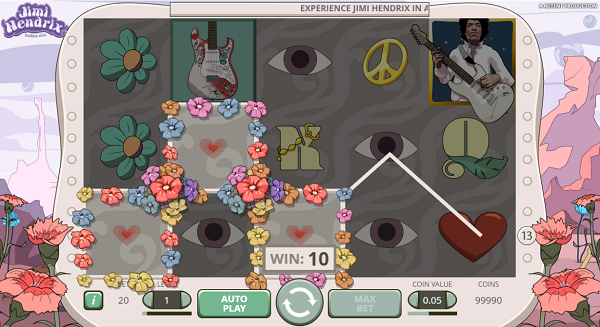 Jimi Hendrix released on Desktop & Mobile! 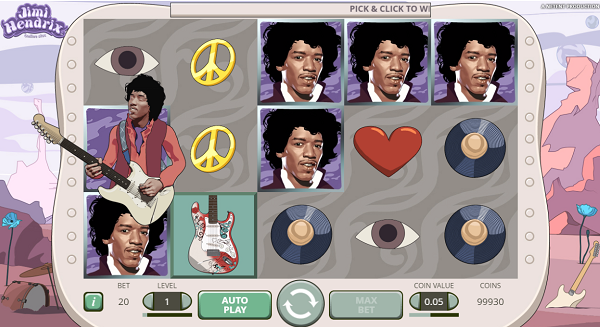 Move into the 21st century with Jimi Hendrix at your fingertips, when you play this thrilling slot game on your Desktop & Mobile! Rock on and get stuck into this five reel, three row, twenty line slot game, with Jimi Hendrix the greatest gaming companion providing the best soundtrack money can buy! Show your musical prowess when you take on the Red Guitar Re-spin feature, giving you the chance to gain multiple re-spins. The Purple Haze feature gets your lower win symbols amped up, transforming them into big-win Wilds! Win three different types of free spins when you enter into the exciting Pick and Click feature, which gives you a great free spins collection, including Crosstown Traffic, Purple Haze and Little Wing, or a Coin Win. 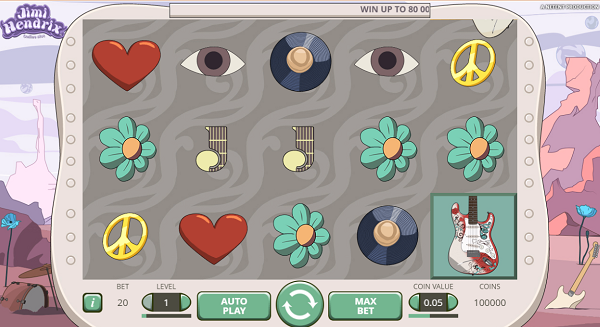 Activate the Pick and Click feature when you secure three Scatter symbols on the reels. Guns n’ Roses available on Mobile & Desktop! 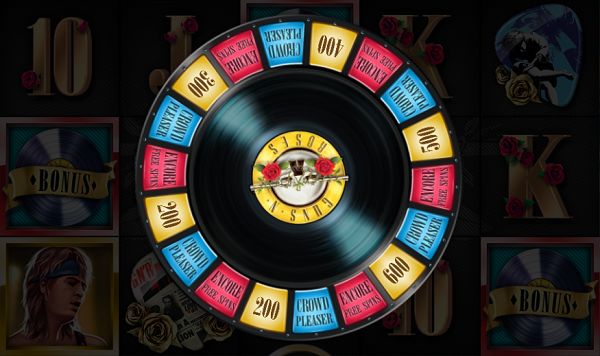 Take part in this legendary Guns N’ Roses video slot game, now available to play on both your Mobile & Desktop! Get your rock on across five reels, three rows, and twenty win lines to the soundtrack of Guns N’ Roses blasting out of your speakers. There are plenty of bonuses to take advantage of as soon as you get going, with Wild Substitutions, Expanding Wilds, Encore Free Spins, the Crowd-Pleaser Bonus Game, and coin wins line the path to some of the games’ mesmerising random features, Legend Spins, the Appetite for Destruction Wild, and the Solo multiplier. Two re-spins and two stacked Wild reels activates the Legend Spins feature; a Wild found in the shape of a cross on one of 3 possible reel positions activates the Appetite for Destruction Wild; and a win multiplier of x4-x10 on a winning bet line activates the Solo multiplier. Frog’s Fairytale comes to Mobile & Desktop! Hop into this thrilling slots game, now available on Mobile & Desktop! 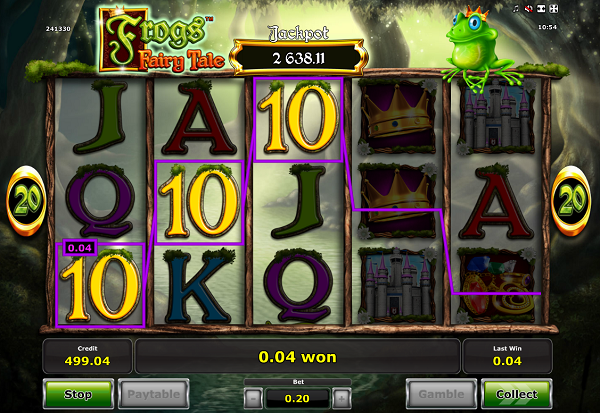 Frog’s Fairytale combines bewitching bonuses with enchanting jackpots which just get bigger and bigger the more you play! Jump in and retrieve the big Enchanted Stream bonus, Golden Ball prizes, Frog Bonus, Colossal Spin Bonus and Lily Pad bonuses in super fast time. 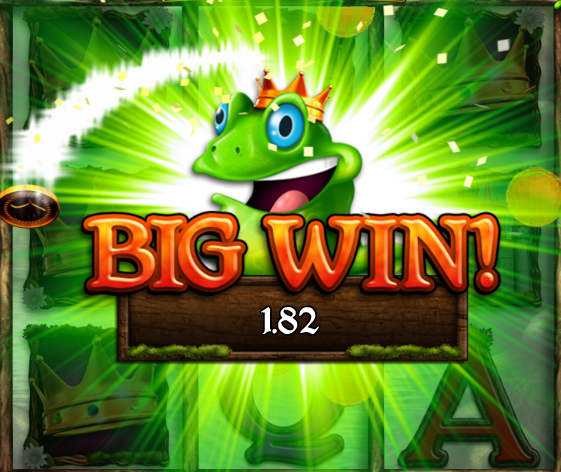 Grab yourself a magical jackpot by revealing 5 jackpot symbols during the Lily Pad bonus stage – with bonus multiplier galore, it’s all to play for! The aim of the game is to land 5 identical symbols along a winning line. 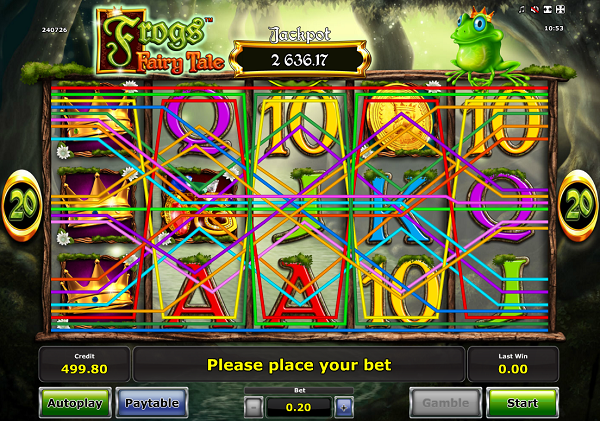 Win up to 1,000x your stake just by playing this mystical slots game on your Mobile or Desktop.